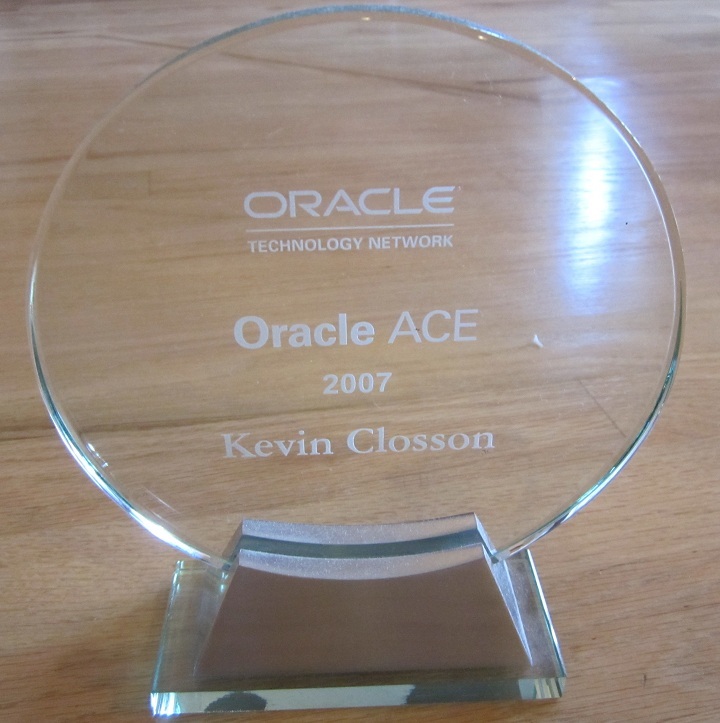 « Podcast: Pythian Group Oracle Exadata Storage Server Q&A with Kevin Closson. couldn’t you get the stats from v$sql? did they change sqlplus ‘trace mode’ to report these, as it does report logical and physical reads? It is the same data as gv$sysstat in this regard though. No such thing as too many statistics: very good stuff. The example you use raises another imortant point, I think, which is that storage-based filtering and projection is not a cure for every problem, and that disk i/o is not the only component in a balanced system. It’s a reminder that Oracle has long had a set of features specifically to mitigate the inefficiency of repeating calculations — materialised views, query rewrite, and in 11g various result caching features — and that even when you couple the database to a fast storage system there is still a role to be played by these. Let me see if I get your point. I think you are saying that all the optimizations Oracle has implemented in the past (to mitigate I/O pain) are likely still helpful. Yes, you are right. The full arsenal is still there. The main thing about Exadata is that it can do I/O and in the absence of Exadata the ***only** tools you have are those which mitigate the impact of painful I/O. As well as precalculating aggregates, in the past I have created “skinny” versions of very wide fact tables in order to improve full scan time, and used query rewrite to transparantly redirect queries to them. Works great. I’ve even made completely redundant copies of large tables with different partitioning schemes to provide more effective partition pruning for targeted sets of queries. So one appeal of about 11g+Exadata is that nothing _necessarily_ invalidates those approaches, they just change the associated cost-benefit analysis so that the number of cases where you resort to them is greatly reduced, or even eliminated. It would be interesting to compare 11g+Exadata with the other vendors to see how these brainy features compare. Query rewrite, results caching, partitioning, in-database OLAP, in-database Data Mining, um … flashback is also a good feature for ETL support, for rolling back a complex failed load without needing any lines of code. Er, ummm, I’m trying to avoid a ‘me too’ fan-boy comment, but I can’t help myself. That’s a very attractive combination from a technical point of view, regardless of industry analysis. Yeah, ok, I admit it. (Educated) Fan-boy comment. Look, the deal is that a high percentage of Netezza installs are sitting on the same raised floor as the large Oracle ERP/OLTP system from which they extract the data. I consider this madness that no longer has merit. Was wondering if there is a way to simulate working on an Exadata storage machine. Believe this can be implemented in same manner as we have for Oracle Unified Storage 7000 Simulator. This will allow for a pseudo-realistic experience. I’m sorry. What you’re looking for is not available outside the walls of Oracle. BTW, Exadata ran on AMD before it ran on Intel.